To order herbal remedies from Energy for Life Connection, please download the current Herbal Remedies Order Form on our Forms & Resources Page, or call/email Stacey. 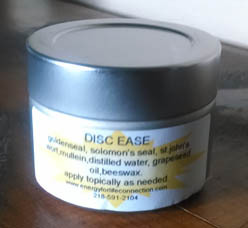 *Base ingredients for lotions and balms are all natural grapeseed oil, local beeswax, and high quality essential oils. *Note* – Prices are product prices only. Additional charges are added for the time it takes to carefully prepare and ship your order. Send in your order form and specify to have Stacey email a detailed PayPal invoice for you to pay online! All purpose general healer. Simulates tissue regeneration and cell growth. Use for all soft tissue needs – from dry skin to sore muscles, sunburn relief and more. Lavender, Bergamont, Sage, Rose, Rosemary, Eucalyptus, Patchouli, Ylang Ylang, Peppermint. Unscented and custom orders available on request. Power-packed healing and pain relief. 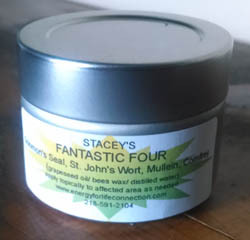 Solomon’s Seal, St. John’s Wort, Mullein, and Comfrey work so well together to heal imbalance and injury to muscles, connective tissues, and to remove swelling and relieve nerve pain. A sore muscle soother provides fast relief for aching muscles. 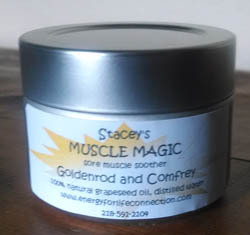 Contains Goldenrod and Comfrey – can be customized with other herbs and scents as well. Arnica chamisissonis- a zone tolerant Arnica that I grew in my garden- and “Balm of Gilead”(from the buds of the Balsam Poplar tree). Handy .5 oz. stick applicator- like a large lip balm. Quick relief for sprains, strains, bruises, overused muscles. Reduces swelling, pain and congested blood to speed tissue healing. A special blend of herbs specific for assisting with decreasing inflammation and strengthening the tissues of compromised discs and bursas. 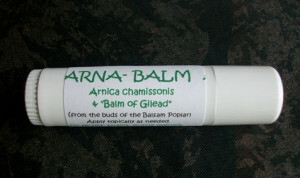 Contains Solomon’s Seal, Mullien, Goldenseal and St. John’s Wort. 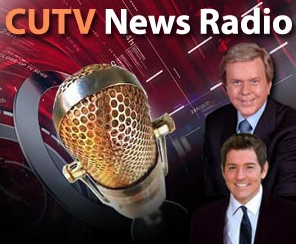 Listen to Stacey's Interview with CUTV News! Listen to Stacey's interview on CUTV News that took place September 19, 2018. 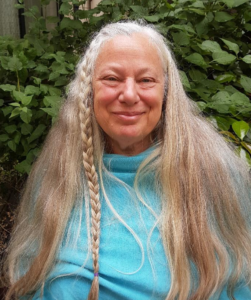 Learn how she is opening minds to the healing process in her work in Duluth, Minnesota. Listen to Stacey on the Wellness Rennaisance Podcast! Stacey and others were guests at a round-table wellness podcast recently! Also, Listen to an Interview with Stacey! Free Salad! Learn more when you sign up! Upcoming Classes taught by Stacey! I have been suffering with eczema for as long as I can remember. I tried Stacy’s Skin “Salve”-ation and my hands have never felt so good. In fact the eczema is virtually gone. I get an occasional pustule once in awhile but no more pain or bleeding. I am happy to say my eczema is under control and I am picking some up to send a friend out on the east coast to treat her eczema. I am over the shingles, you should market fantastic four as a shingles cure, or at least the best pain reliever out there! I thought Stacey Quade did an awesome job speaking to our class. She gave a great lecture on what to “feel for” when we were exploring our own energies. One of the things that I learned during her speech was the many different Chakras that we have in our body. I actually really liked this topic so much that I did a little more research of my own. I just want to tell you how much I love your Fantastic Four! It has saved me as I had to go off of my NSAIDs and curimen:). And it is scent free which I also appreciate! As a practicing chiropractor for 30 years, and fortunate to work in a multi-disciplinary clinic, I was exposed to Fantastic Four years ago. I have used it for myself and my patients and have found it to be extremely effective treating soft tissue pain and spasm. I would recommend it to anyone. Great! Loved it all! Please do it again. Wish it was two days instead of one, for more time to practice. Today’s information has given me more tools in my toolchest to help myself and others. I like that there are so many different options available for healing and for coping with illness. Stacey’s personality made her presentation easy to listen to and she was very friendly and passionate about what she does. I would definitely consider exploring this form of therapy. Hi Stacey, I just have to tell you about my DEXA scan results. I’ve used the horsetail tea just about everyday for 2 years. My scan shows NORMAL results in both the spine and hip bone areas. The forearm still has osteoporosis, but it has not gotten worse. I think the nurse was a bit surprised that I had GAINED bone density. Thanks for your help! An exercise Stacey had us do in class with a partner to find their energy field was really cool! I could really feel a difference between being inside of their energy circle rather than outside their energy circle. Personally, Now I would be interested in learning more about healing touch! I didn’t know very much about healing touch before so it was fun to learn about something new. In Stacey’s class I learned that we all have aura’s around us and that if you try you can feel your own aura or another person’s. Healing Touch seems like a good way to help those who are sick without being so invasive. Since there are really no side effects to Healing Touch, I don’t see why someone wouldn’t at least try it.